There are a range of benefits to prac ticing yoga during pregnancy and it is especially important to do a regular pregnancy yoga class for many reasons, including helping you stay in shape, promoting inner balance and calm, providing the Mother-to-be with much needed time and space to connect with oneself and the baby or babies and promote restful sleep. Pregnancy classes are also a great way to meet other Mums-to-be who might be due around a similar time to you, creating a beautiful network for you once the baby your baby has been born. Yoga Kula has two regular pregnancy classes every week, Tuesday at 6:30pm taught by Lara Heppell and Saturday at 12:30pm recently taken over by Catherine Rosenthall. “Hello, I’m Catharine and I’m now teaching the Saturday pregnancy yoga class. I trained in pregnancy yoga a year ago with the fabulous Uma Dinsmore Tuli. 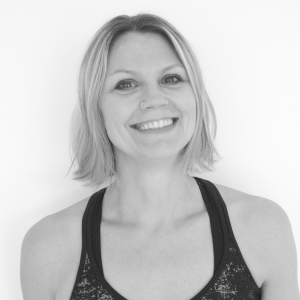 I’m also a Pilates teacher, trained in ante/post natal pilates so hope to bring lots of pelvic stabilising work to class, which is a fantastic way to prevent and ease pelvic pain in pregnancy. I’m also a nurse practitioner specialising in women’s health and I am a qualified obstetric nurse ultrasonographer, so I’m pretty passionate about women’s health issues! I’m hoping that my classes will build strength and stability, relieve stress and anxiety and provide a nourishing, nurturing environment to enable mum and baby connection. There’ll be lots of yummy, supported restorative poses as I also teach restorative yoga at Kula, these promote relaxation, deep rest and calm. Happy Mama, happy baby! Read more about pregnancy yoga here. Read more about restorative yoga here. Find out more about our range of classes here. Our other pregnancy yoga teacher Lara is running a Birth Preparation workshop on Saturday 19th November for couples.